This form can be used pre and post intervention and will give you a bit more evidence should you need it on pupil progress. Like many resources I have created in the past it was an ELSA who contacted me and asked if this was something I provided. 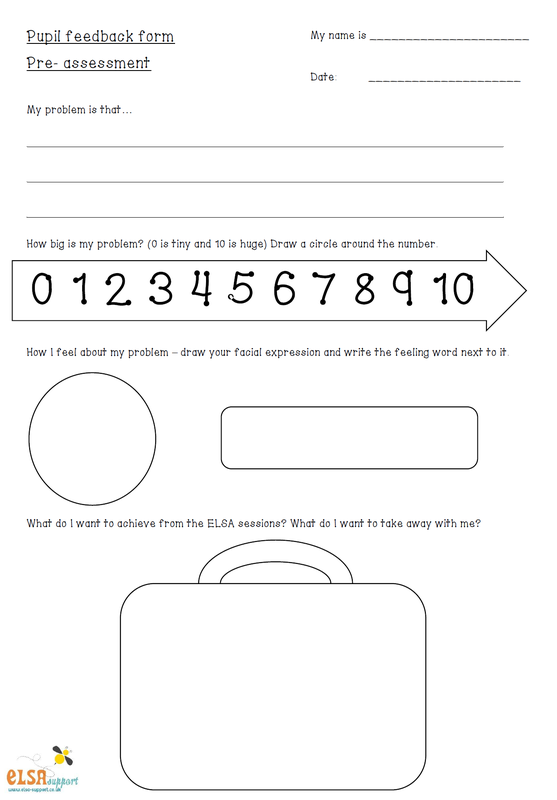 Through discussion in the ELSA Group this form has been created. 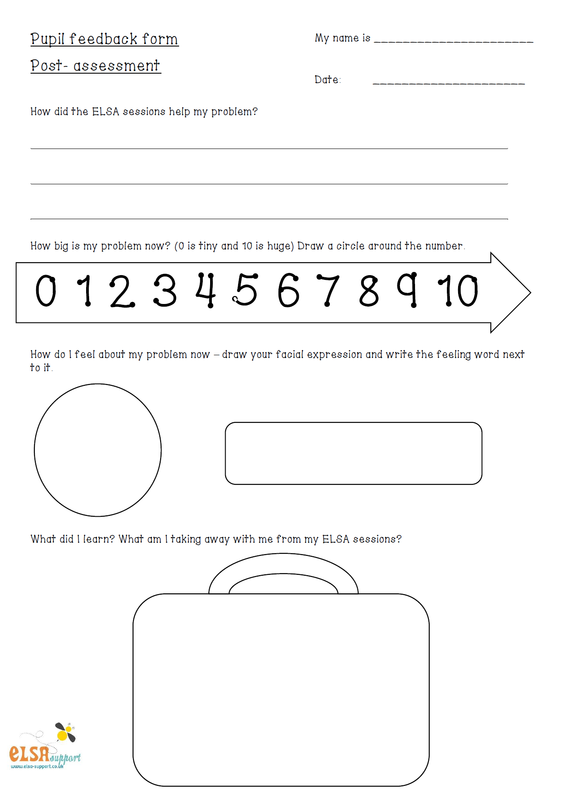 Use this pre and post intervention and find out what the child really thinks. I do think it is important to discuss with a child why they are with you and what you think they need but it is good for them to try and put into words what they think their problems are. A lot of children do know what their problems are. It could be as simple as ‘I don’t have any friends’, or ‘My dog died’, ‘I get really angry and hurt people’, or ‘I am worried all the time’. There are lots of other admin forms on the site so do explore the admin section.